I am Herbert Stolpmann and created my own Blog as I was unable to get a satifactory answer from others as to the fate of of Andre Borrel., she was no doubt French of humble background and worked in a Bakery in Paris were she joined the Resistance, was bertayed and fled via Spain and Portugal to England where she was after sceening trained as a SOE Agent and sent back to France and cought by the Gestapo.This must have been in 1943/44. Assuming that there was insufficient evidence against her and the Gestapo was after the actual working cell, she was sent to Dachau and lived with the Bielmeier Family who had a Bakery there, where she worked. She was very popular not only with the men, but with the entire family.Her entire profile fits. As usually when all was known, she was taken away and executed. but no one knows for certain if it took place in Dachau or in Natzweiler. Other records show this was the case, but this is doubtful. As I am married to Edith Bielmeier at that time 12 years old as well as other living Bielmeiers, the subject of her fate comes always up. All of them seem to think the execution took place in Dachau. In fact the Gestapo did not record all Women Agents that were eliminated either by the bullet or the rope.. Whoever took part in her last hour are certainly dead by now,however, if anyone knows more about her I would like to hear from him or her. When the Germans invaded France in 1940, Noor and her family fled to Bordeaux and sailed for Falmouth, leaving behind Hidayat and his wife. 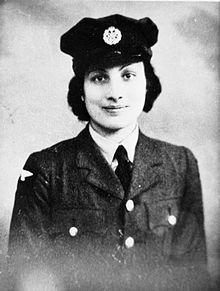 Having worked for the French Red Cross in France, Noor enlisted in the Women's Auxiliary Air Force (WAAF) in November 1040 as "Nora Inayat Khan" and spent six months training as a wireless operator in Edinburgh. She was turned down for a commission, but in May 1942 she attended an advanced wireless course, her first exposure to secret work. 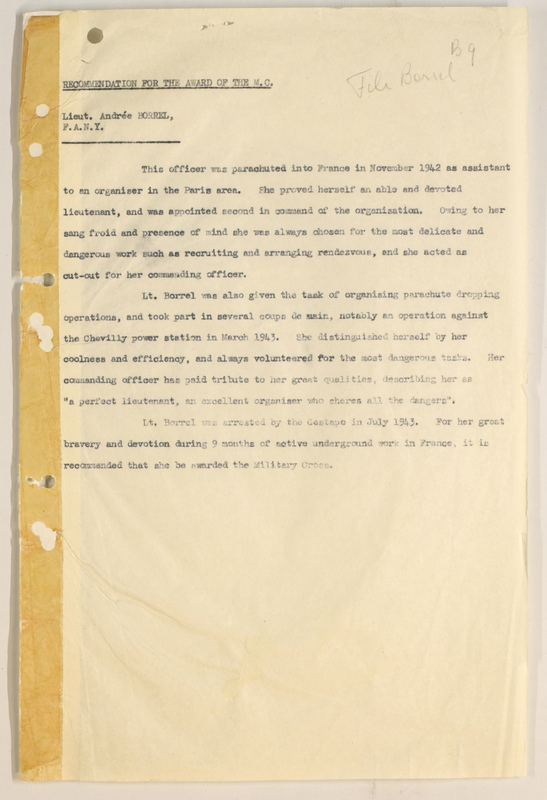 Five months later her abilities were spotted by someone in the Air Ministry, who passed her name to SOE’s French Section. Invited to an interview in a shabby hotel room off Trafalgar Square, Noor found herself face to face with the head of recruitment, the novelist Selwyn Jepson. A shrewd judge of character, Jepson had "not the slightest doubt" that she was right for the job, and immediately offered her the chance to be "specially employed". She began training in February 1943. 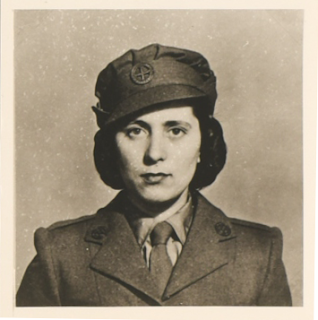 Now wearing the uniform of the FANY (the First Aid Nursing Yeomanry, used to disguise the real work of SOE's women agents), she joined a batch of three other women - Yolande Beekman, Cecily Lefort and Yvonne Cormeau - and six men at Wanborough Manor near Guildford. Here they underwent a three week assessment course, testing the recruits' fitness and skills in armed and unarmed combat, wireless and cross-country navigation. Noor clearly had no romantic ideas about becoming another Mata Hari: in fact, the head of the school noted that she hadn't "the foggiest idea what the training was going to be about". Like the two other women George Cross recipients of the war, Odette Hallowes and Violette Szabo, Noor's training reports were less than encouraging. It wasn't because of a lack of effort: although she was "pretty scared of weapons" Noor tried hard and pushed herself to do extra physical exercise long after the others had finished. 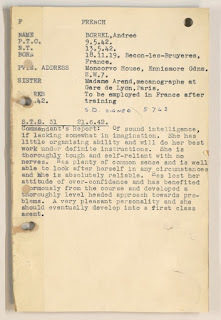 It wasn't enough to qualify her for parachute training, so she progressed instead to SOE's radio school at Thame Park, then to the agent “finishing school” at Beaulieu, which taught how to operate in an occupied country. At every stage her kind-hearted, selfless nature was obvious to everyone, and prompted one instructor to describe her as "a person for whom I have the greatest admiration". But her deep moral convictions were interpreted by others as a sign of a temperamental and difficult person. 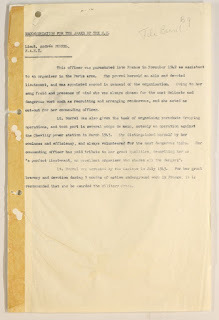 This was a potentially serious problem: SOE agents had to be capable of making expedient, sometimes ruthless, decisions if necessary, but for Noor work that involved "anything two-faced" or caused "mental conflict with her idealism" was simply unacceptable. Part of the course involved a mock interrogation, to test how she would hold up under pressure if caught. It terrified her, and raised yet another question mark about her suitability. 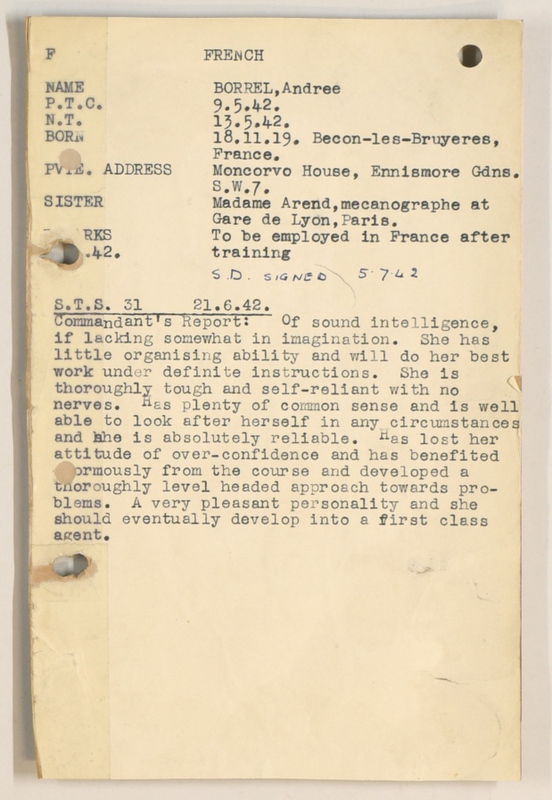 The final report from Beaulieu characterised her as being "not over-burdened with brains" and concluded that it was "very doubtful whether she is really suited to work in the field". The latter comment was backed by fellow recruit Yvonne Cormeau, who requested that Noor be withdrawn. The response by the head of F Section, Maurice Buckmaster, was contemptuous. "We don't want them overburdened with brains" he scribbled, under which he added “[it] makes me cross”. For him the equation was simple. The demand for wireless operators was greater than ever; Noor wanted to go; and he needed a qualified "body" to send. But of the four women on the course, only Cormeau would return. Noor - codenamed Madeleine - was Buckmaster’s first female wireless operator to be sent to France. Her false identity would be “Jeanne Marie Renier”, a governess from Blois who’d moved to Paris. In addition to a faked French ration card and various permits, she was also issued with an "L" (for lethal) pill, in case she was captured and couldn't face torture (whether she kept it isn't known). On the night of 16/17 June Noor left RAF Tangmere in one of two Lysander aircraft, bound for a secret landing field outside Angers in north-western France. It was an inauspicious start to her secret career: not only would her three fellow passengers - Diana Rowden, Cecily Lefort or Charles Skepper - all die in captivity, but the man waiting to greet them was Henri Déricourt, a double agent working with the Germans. Through him, the Gestapo knew when and where the flights would land, and planted spies to trail the agents as they left to join their networks. Although bewildered by the new way of life in Occupied France, Noor wasn't shadowed and fortunately reached Paris without attracting attention. In the next few days Noor was introduced to Suttill, his wireless operator Gilbert Norman and the leader of the Paris-based BRICKLAYER network, France Antelme, who took a paternal interest in her. Norman took her to see his radio hideout at Grignon, west of the city, from where she transmitted her first message announcing her safe arrival (over the course of the next few months, she would send around twenty messages in total). Things seemed to be going well, but disaster was about to strike. On 24 June an unfortunate chain of events led to Suttill, Norman and their courier ANDRE BORREL all being arrested, effectively decapitating PROSPER. As further arrests followed, Noor, Garry and the other agents hurriedly moved to new safe houses where they could lie low. Noor narrowly avoided being caught herself when she tried to retrieve the wireless set at Grignon, which the Germans had now discovered. In July Noor arranged for one of Déricourt’s Lysanders to ferry Antelme back to London, while the Gestapo continued to scythe through PROSPER's ranks, arresting hundreds of sub-agents and their families. As other wireless operators went to ground or fled south, Noor soon became F Section's sole point of contact in Paris. Buckmaster told her to follow Antelme and fly to London but she refused, insisting that she stay on to report further developments. In some ways it was a foolhardy decision, but also a brave and undeniably vital one for F Section, especially since the situation was becoming more confusing by the day. Since the arrest of Norman, the Germans had begun sending fake messages using his codes and wireless set, which left Buckmaster unsure whether he was still free or not. When Buckmaster's deputy Nicholas Bodington arrived in Paris to investigate Noor became an invaluable ally, after his own wireless operator was walked into a Gestapo trap, laid using Norman's set. With radio direction-finding vans prowling the streets, the dangers of transmitting were now very great and she had to move constantly, lugging her heavy wireless suitcase across Paris to avoid detection. In August she arranged more flights with Déricourt, to evacuate Bodington and other endangered Paris agents. Despite the strain she was under, Noor sent a letter to Buckmaster, full of enthusiasm for the job she was doing. "Thanks a lot, it’s grand working [with] you. The best moment I have had yet." But she still didn’t realise how much danger she was in, or how close the Gestapo were getting. This letter, along with other letters and reports in the mailbag, was secretly photographed by the Germans before leaving France, courtesy of Déricourt. Having slipped through the Germans’ fingers for four months, Noor’s downfall was finally brought about by an act of petty jealousy. Though never proved, it’s likely that it was Garry's sister, Renée, who contacted the German counter-espionage service (the Sicherheitsdienst, or SD) and sold her out, giving them Noor’s safe house address in rue de la Faisanderie for the price of 100,000 francs. The Germans had bought Madeleine cheaply - it was a tenth of what they would have been willing to pay for such a prize. The first attempt to catch Noor failed. One of several Gestapo agents watching the apartment described how he saw her leave and walk into the bakery below. As she left she seemed to spot him, and moments later she quickly disappeared round a corner and vanished. It should have made her think twice about returning, and when she re-entered the apartment that afternoon she found an agent waiting for her. Unarmed (she had chosen not to carry a gun) she bit and clawed at him ferociously until he could draw his gun and phone for backup. Minutes later several men in civilian clothes bundled her downstairs and into a waiting car. The arrest caused delight and probably great relief, after all the SD had been fruitlessly tracking her wireless signal for months. After being driven the few hundred yards to their headquarters at 84 Avenue Foch, Noor made the strange request to take a bath. As soon as the door was locked she attempted to climb out of the window, but she was quickly spotted and coaxed back inside. SOE agents were told to try and hold out for 48 hours, to give others in their network time to disappear, but no-one could ever be sure how they would react to the shock of capture. When grilled by her SOE trainers Noor had crumbled, yet when facing the real thing she proved her critics wrong and performed magnificently. In spite of the best efforts of her interrogator Ernst Vogt, Noor showed complete contempt for her captors and refused to tell them anything during her time at Avenue Foch. Their wireless expert Josef Goetz later admitted that "Madeleine refused to give us any assistance whatsoever", and in a post-war statement, Hans Kieffer, the SD commandant, confirmed that they "could never rely on anything she said". But they did have her wireless set, her codebook and all her past messages, all neatly set out in clear text in her exercise book. Several agents had despaired at her decision to carry around such a dangerous document, but she stubbornly insisted that it was necessary. 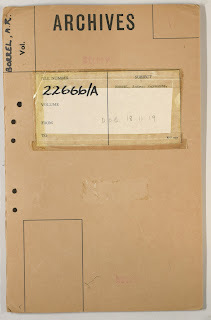 This might have been the result of her misinterpreting her original mission briefing, which had stated that she must "be extremely careful with your filing of your messages". During her training one instructor had noted that she "takes everything very literally", so perhaps she didn’t understand that “filing” only meant “submitting”, not "keeping". In any case, this enabled Goetz to launch another "radio game" against SOE, codenamed DIANA: using a one of his own wireless operators in place of Noor, Goetz sent bogus messages that convinced Buckmaster to carry on as normal. The results were tragic. DIANA successfully lured seven agents, including Antelme and Marcel Defence, to parachute straight into the waiting arms of the Gestapo in February 1944. All of them would later be executed. Noor was held in the former servants’ quarters on the fifth floor of Avenue Foch. In the cell opposite was a long-time resident, SOE agent John Starr, a former poster artist who had entered into a strange alliance with Kieffer. Having been tortured after his arrest that summer, Starr now led a relatively comfortable life, drawing diagrams of F Section networks and portraits of the Avenue Foch staff. In return Kieffer could demoralise newly captured agents by showing them how cooperative Starr was being, in the hope that it would encourage them to talk. Starr recalled how Noor would distract herself by writing children's stories in her cell, and he often heard her sobbing through the night. But when morning came she would bury her emotions and resumed her defiant attitude, betraying nothing to Vogt or Kieffer. On 27 November she arrived at Pforzheim prison, and according to the prison governor Wilhelm Krauss the local Gestapo were particular about her treatment: she was to be kept in strict solitary confinement, chained hand and foot and put on the lowest rations. Krauss claimed that he had felt sorry for her and attempted to remove the chains, but that the Gestapo had insisted he replace them. In January a minor member of Faye’s intelligence network, Yolande Lagrave, was placed in a nearby cell and was able to communicate with Noor by etching messages on mess tins. Lagrave later wrote how she "could hear the blows she received" in her cell, and described Noor as "very unhappy". She would endure this treatment for another eight months, but still refused to talk. Noor was mentioned in despatches in October 1946 for her secret work in France and awarded the Croix de Guerre by the French, but a posthumous George Cross wasn’t awarded until 1949 (read the citation here). In 1952 Jean Overton Fuller, a close friend of Noor’s who lived three doors away from her mother in Taviton Street, published Madeleine (later revised and reprinted under the titles Born For Sacrifice and Noor-un-nisa Inayat Khan), the first of Fuller’s many investigations into SOE agents and their wartime captors, among them John Starr, double agent Henri Déricourt and SS interrogator Ernst Vogt. The most recent biography of Noor Inayat Khan is Shrabani Basu's Princess Spy, published in 2006. What exactly is your wife's family's story concerning this woman called Andre (Andrée?) Borrel? What precisely did they know about her? Because as far as I know, there is no evidence of the SOE agent Andrée Borrel having been at Dachau. My wife's family had a bakery in Dachau,which was also used by KZ Inmates to bake their bread during night-shifts. When Andree Borrel arrived I do not know, but there is evidence that a Wachmann took 4 foreign women from the train station into the camp.It was normal practice for business people to request help from the KZ. I can only guess Andree was on "probation" until sufficient evidence was gathered until her sentence was carried out. Dachau KZ as a rule did NOT keep women and she lived in a second story room of the Bielmeier house. She was engaged to an SS-man, for which he would have had permission to marry an "Agent" unless he was a "plant". 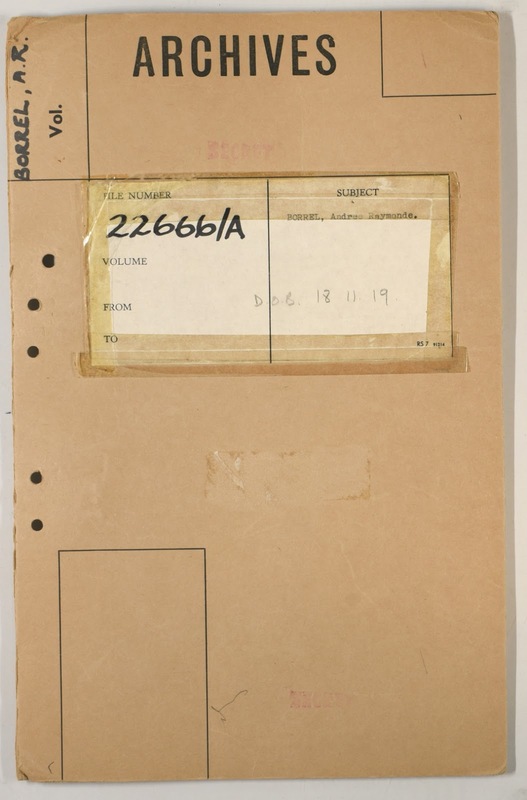 Members of the SOE or Resistance to be executed by the Gestapo were not necessarily registered in any records,there is sufficient evidence of that. If she had survived towards the end of the war, we believe she would have made contact. Neither do we accept the official version she was killed at Natzweiler. This website is a fake anti-German website put up by the jews. This website website was my own idea and has nothing to do with any Jewish connection. I myself can trace my ancestry back to the 1300's, as a matter of fact Gerhard Stolpmann was a Teutonic Knight and a Crusader Bishop. Apart from that, if you have followed all my blogs, you will find, that I commented on Hitlers mental state and he in fact did chew on the carpet, and was referred to as the "Teppichfresser". Next time when you comment, don't repeat yourself too often, readers might consider you as "unstable", ready to chew the carpet.